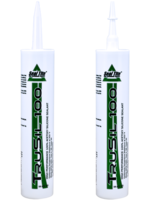 With 100% silicone formulation that promotes adhesion as well as temperature resistance while minimizing shrinkage and application temperature, TruSil 100 comes in caulk tube withÂ screw on nozzle that facilitates cleaning, storage, and reuse after product has been opened. Removable tip helps reduce waste by limiting open product's exposure to air and moisture between uses. Available in several colors and mildew resistant options product meets ASTM-C920 performance criteria. 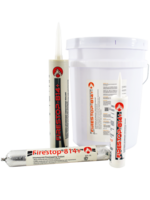 WINSTON-SALEM, N.C. – Everkem Diversified Products, manufacturer of sealants, adhesives and specialty chemical compounds used for construction and industrial applications introduces TruSil 100 Silicone Sealant to its Seal Tite™ brand of sealants and adhesives. TruSil 100 derives its name from its one hundred percent silicone formulation, which gives it greater adhesion, less shrinkage, higher temperature resistance & lower temperature application, and overall increased performance over “extended” silicone formulations. TruSil comes in a redesigned caulk tube featuring a screw on nozzle which allows for easy cleaning, storage, and reuse after product has been opened. The added removable tip helps reduce waste and costs by limiting open product’s exposure to air and moisture between uses. 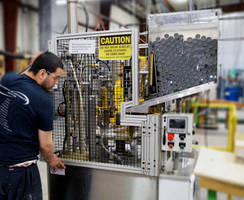 “In addition to the removable nozzle making cleaning and storage easier, when multiple tubes are required for a project the installer can swap out nozzles between tubes to ensure their desired bead size remains consistent throughout the entire job,” said Jason Lynch, president of Everkem Diversified Products. Available in several popular colors and mildew resistant options TruSil 100 is NSF-51 Certified, ensuring that it does not cause food borne illnesses when coming into contact with food and/or beverages – making it ideal to use in and around food processing and storage. TruSil 100 meets ASTM-C920 performance criteria (+/- 25% joint movement), remains flexible at temperatures as low as -55°F (-48.3°C), and can withstand continuous exposure to temperatures up to 400°F (204.4°C), all while meeting low Volatile Organic Compounds (V.O.C.) requirements.